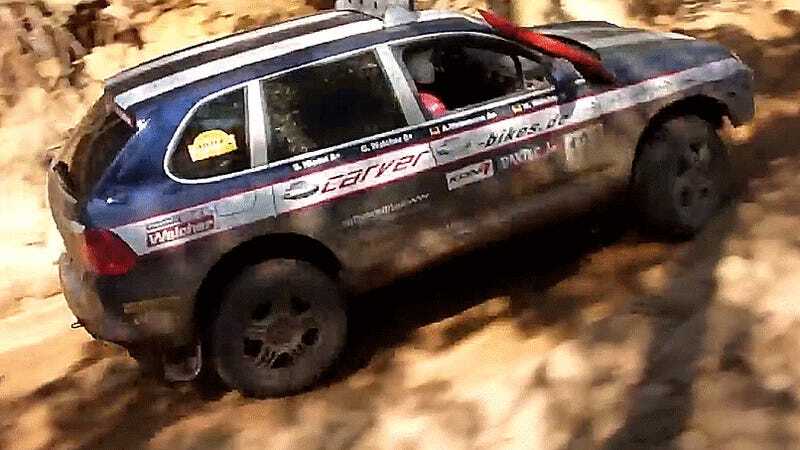 This is no ordinary Porsche Cayenne S—it’s been kitted out with a mild lift, meatier tires, under-body armor, snorkels and a lot of other trick gear to race in Germany’s GORM Open Rally Raid. Has there ever been a more perfect Cayenne? I’m going to say no. It’s beautiful. The best thing is, this is what Cayennes are good at. It’s not just another soft-roader meant to pick up Parker and Madilyn from the Country Day School. 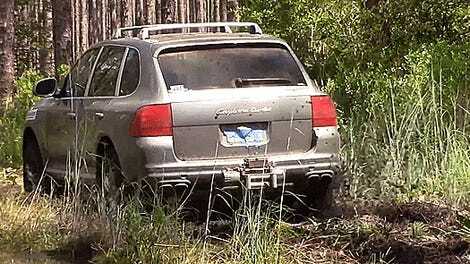 Porsche even threw a handful of Cayennes into the 2007 Transsyberia Rally just because they could. The truck bends a control arm at the end of the video, but that’s fairly standard damage from this rough-and-tumble kind of driving. I’m still in love with it. It makes loud, meaty V8 sounds and bounces down all the rough paths and tarmac sections in front of it. Please, get more Cayennes dirty.